Adult felt, mummy mask that's great for any occasion. Perfect for Halloween, a costume party, or playing dress-up/pretend with your kids. 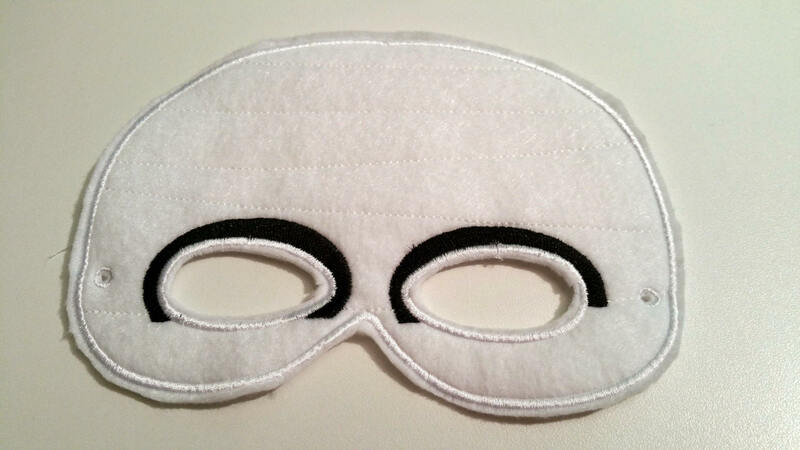 The mask has an elastic around the back for easy on and off. Made with soft, eco friendly felt. It is about 5 1/2 inches high and about 8 wide. This mask is perfect for trick-or-treating or everyday pretend play. All my masks are made with two layers of eco felt, machine stitched, and cut by hand. Order a bunch as party favors. Ships within 10 business days of payment. All my masks can be made in larger quantities with additional processing time. Always welcomed. I will work with you to create that perfect item. Please note that custom orders require additional processing time. Since all brands are not made the same, please ask if you are unsure. Care instructions are posted with listings and will also be sent with your order. Quantity discounts are available and start as low as 5 for some products. Any customs fees for international orders is the buyer's responsibility.